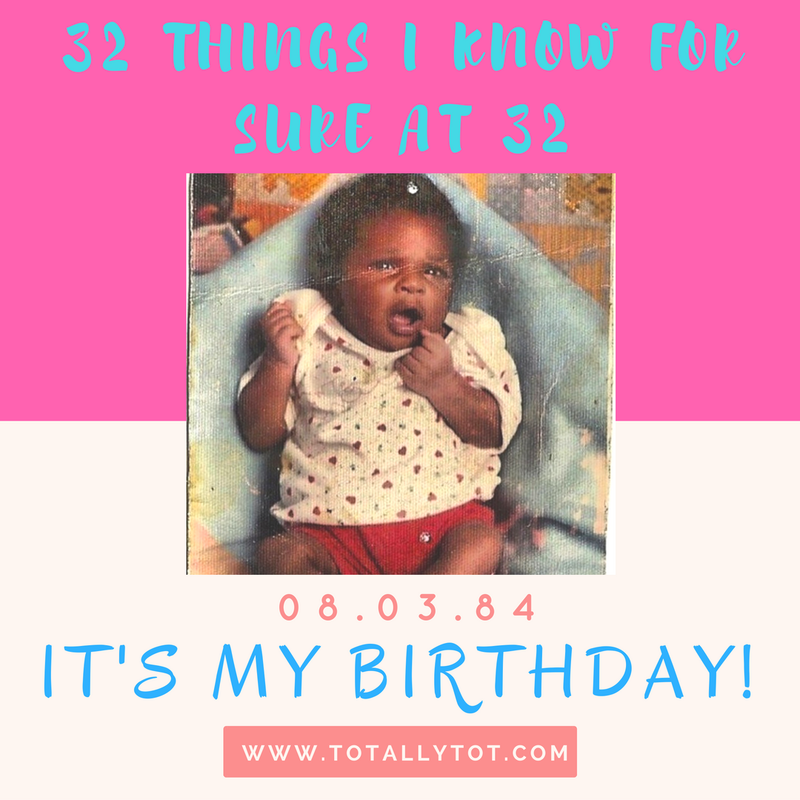 TotallyTot | Creating Innovative Solutions for Everyday Women: 32 things I know for sure at 32- Happy Birthday to Me!!!! 32 things I know for sure at 32- Happy Birthday to Me!!!! Here's my list... 32 things I know for sure at 32! 10. Study Bibles are soooooo bomb!!!! 14. Love and love hard, the world needs more of it! 27. Instant gratification is a trick of the devil! 30. You cannot live in this world alone, so maintaining healthy friendships are important. 32. Being yourself and who God created you to be is the best feeling EVER!!!! Ponytails!! LOL! Yes...let them go! What I know for sure is truth earns respect that lies and deceit can never gain!